It's full steam ahead this week as we prepare for the 2017-2018 Northern Ireland Individual Championships at the Lodge Hotel in Coleraine and the Willie Lucas Memorial seven person team event. 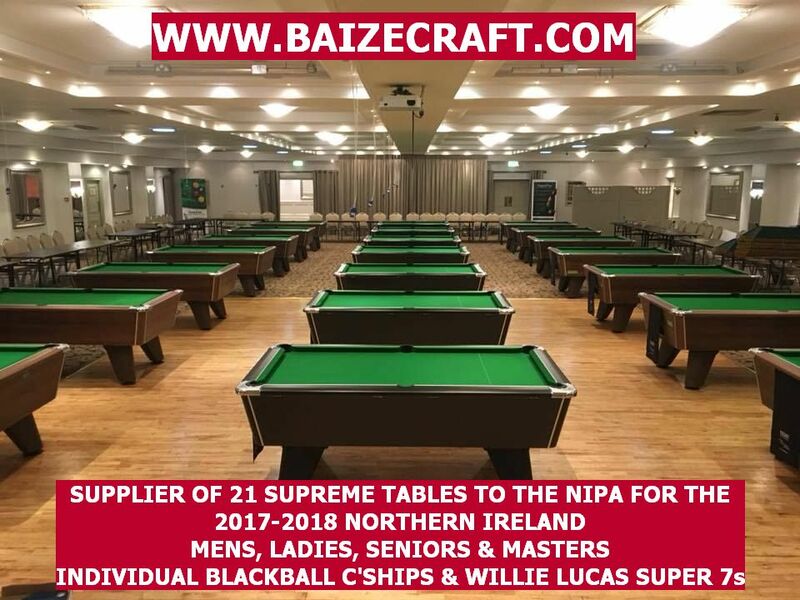 21 Supreme Tables will be installed by Baizecraft of Lisburn on Monday in readiness for start of play on Tuesday morning for the Northern Ireland Special Pool Section's annual Festival which concludes on Thursday. The first event on the Friday is our National Seniors (over 40s) Individual Championship played down to the Last 4 with registration closing at 7.00pm. On the Saturday it is the Mens Championship with registration closing at 10.30am. This will be played down to the Last 16 followed by the Willie Lucas Memorial Super 7s for which registration closes at 4.30pm. Sunday sees both the Ladies and Masters (over 50s) events played directly to a finish, registration closes at 10.30am for these. The Seniors (from 1.00pm) and the Mens (3.00pm) will also be played to a finish and by the end of the day we will have four new National Champions for this season. 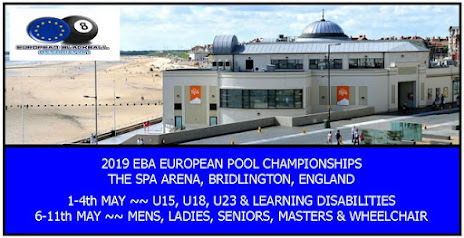 Each Winner will get an automatic invite onto the relevant 'A' Team travelling to the 2018 European Championships in Bridlington in April. At time of posting there are still some places left in each event, to enquire please contact Robert Hawkins on 07970 450050 or on Facebook. In one form or another, the NIPA have been promoting Pool in Northern Ireland for over 30 years. From being minnows of the sport at International level, we have risen to become a successful and respected nation who are always looking to progress ourselves.